"Thimbles 'n Threads" Lil' Bits has the "sewing" done for you in having the finished elements and quilt labels ready for you to use. Sometimes it's nice to have a little help, so consider this my attempt at help! 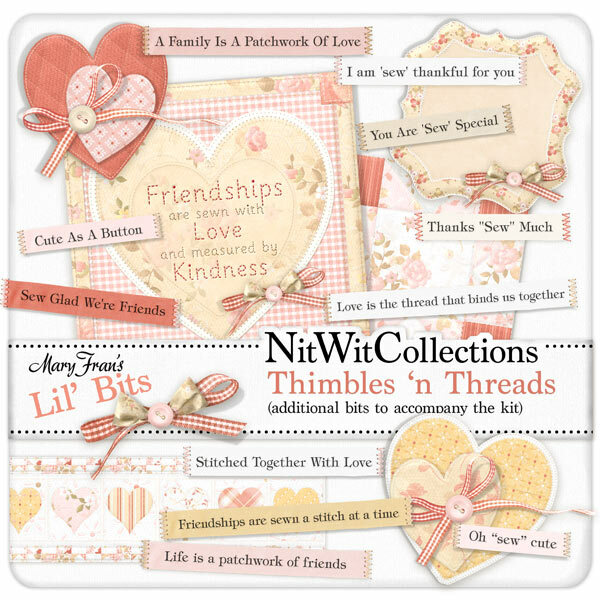 Elements in the Lil' Bits are not included in the "Thimbles 'n Threads" FQB. 1 Quilt Sampler - "Friendships are sewn with love...."